splendid actually: shop it up! GUYS! 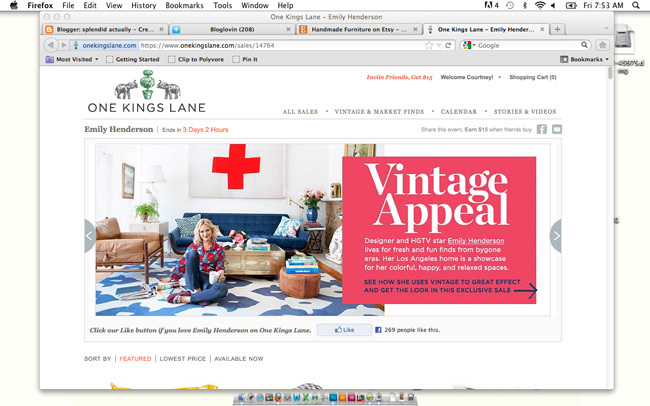 one of my favorite bloggers + stylists Emily Henderson is having a One Kings Lane sale starting today! She has a great variety of vintage furnishings and fun accessories. Her finds are going fast so check it out here RIGHT NOW. Not a One Kings Lane member? Click here to become one!